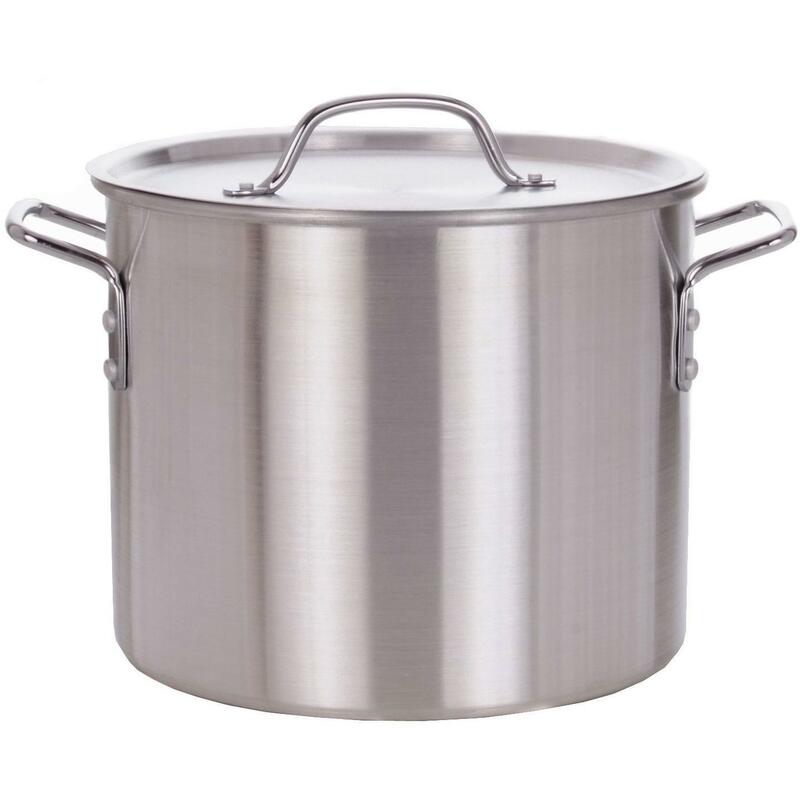 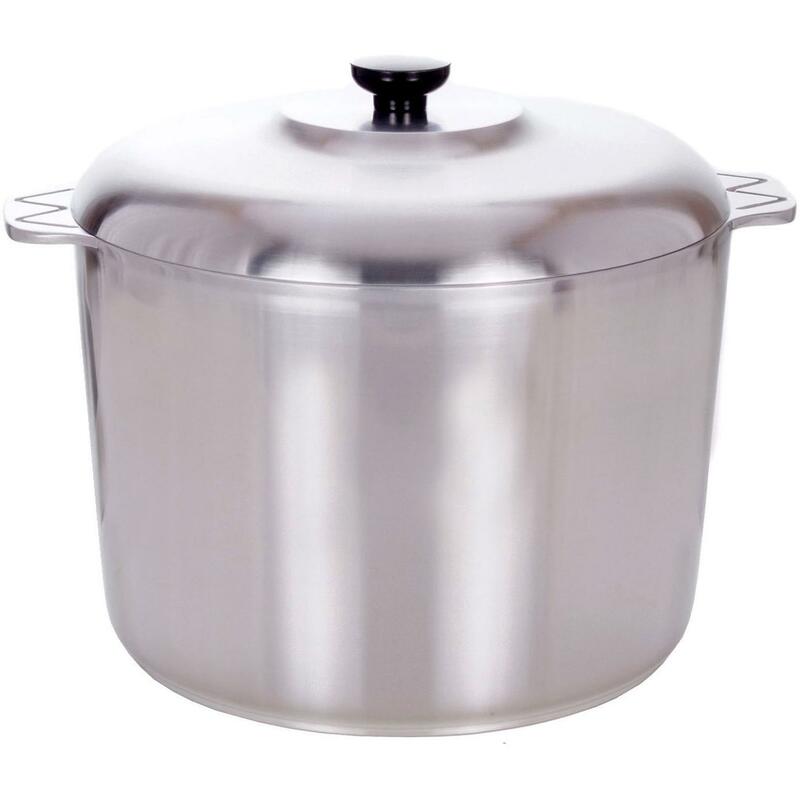 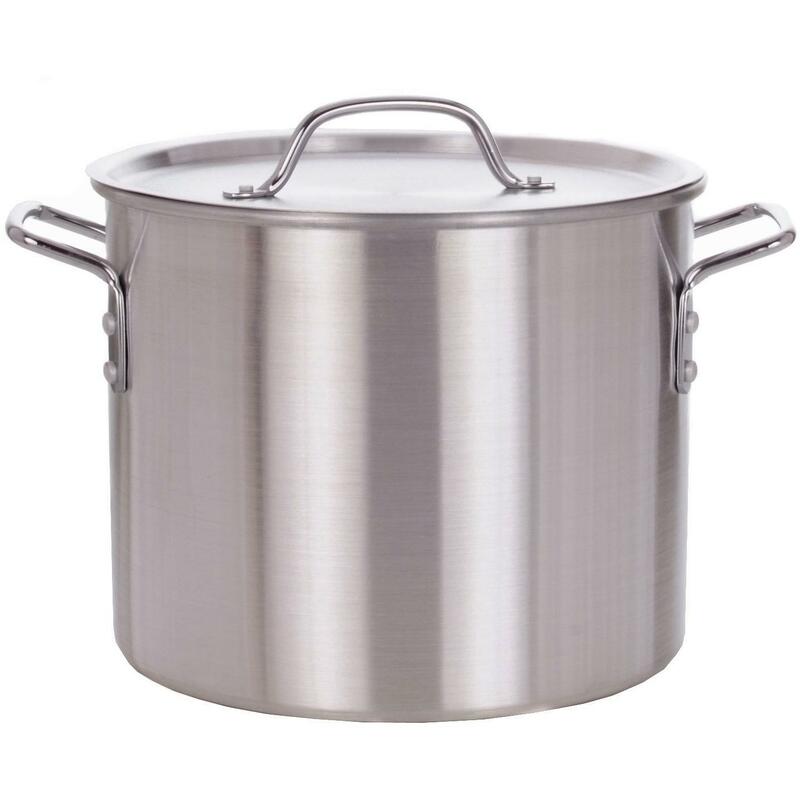 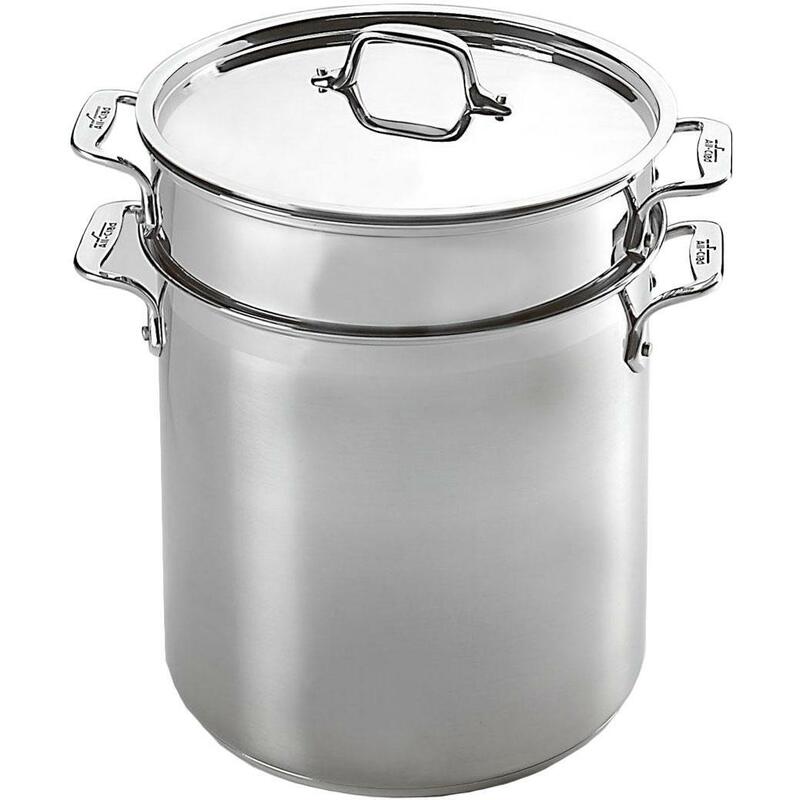 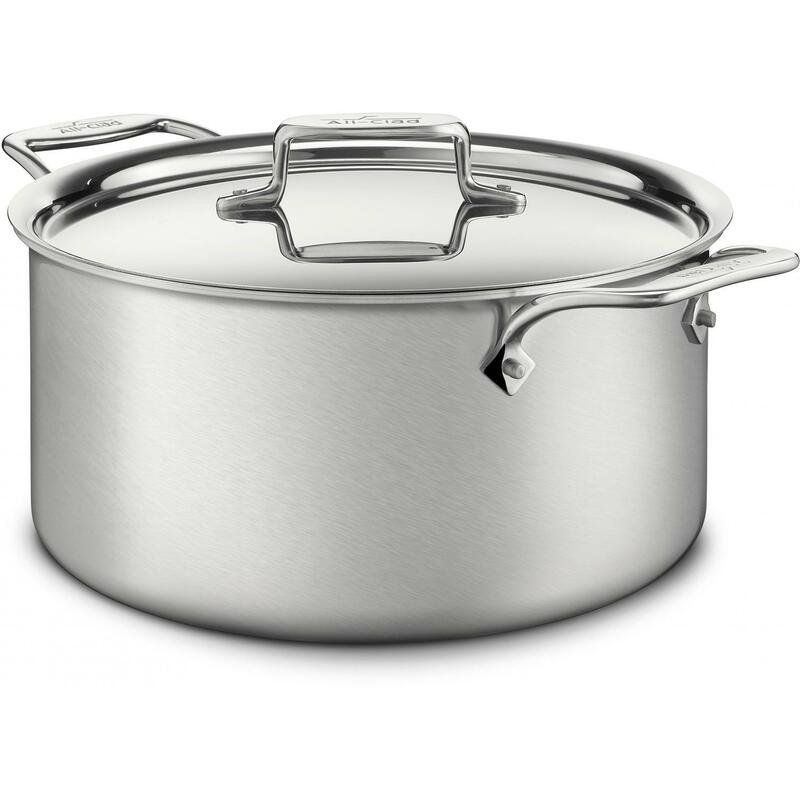 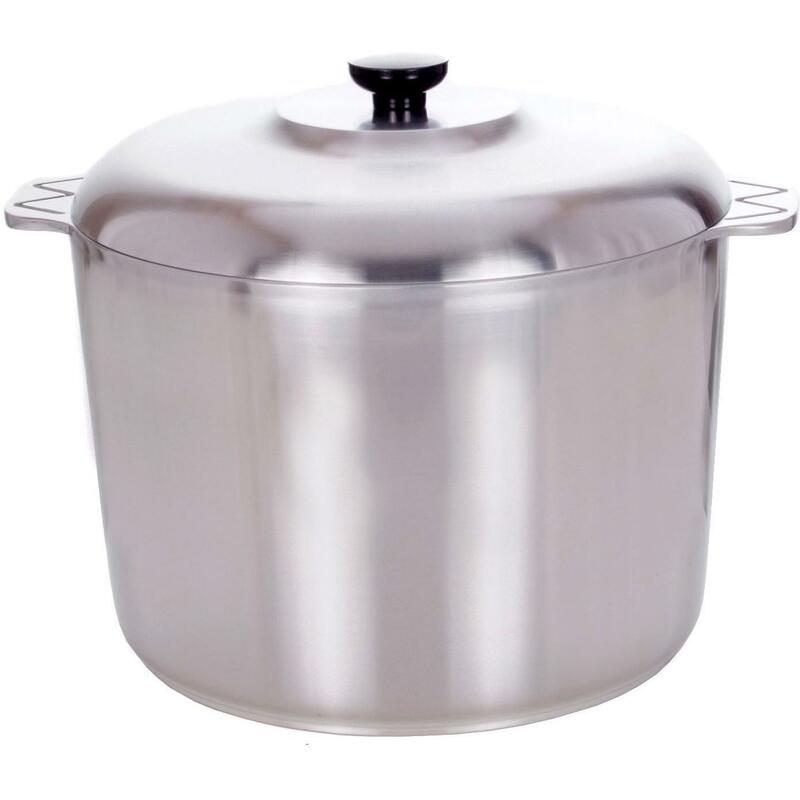 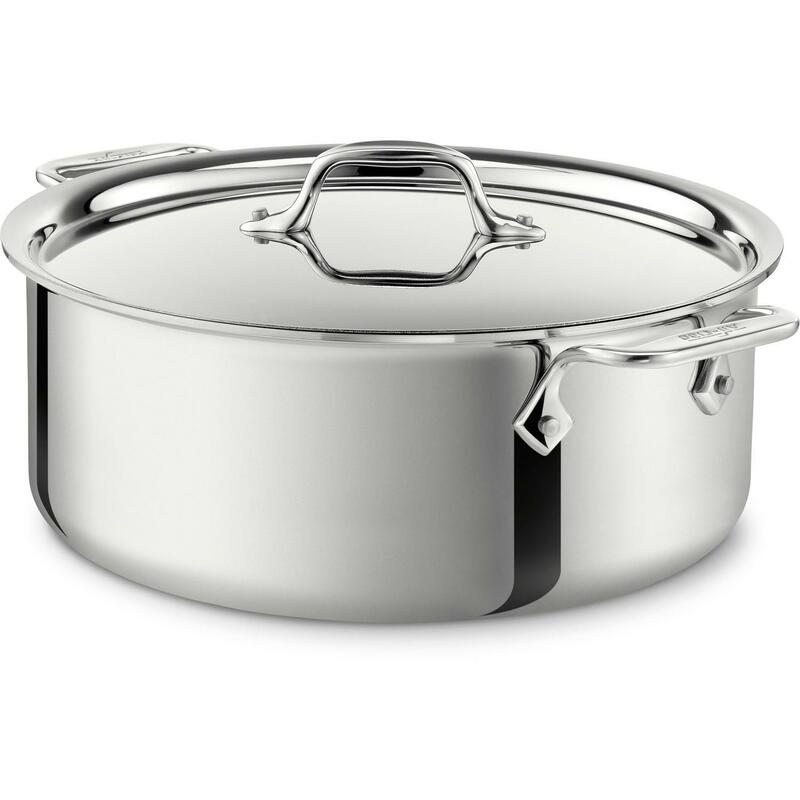 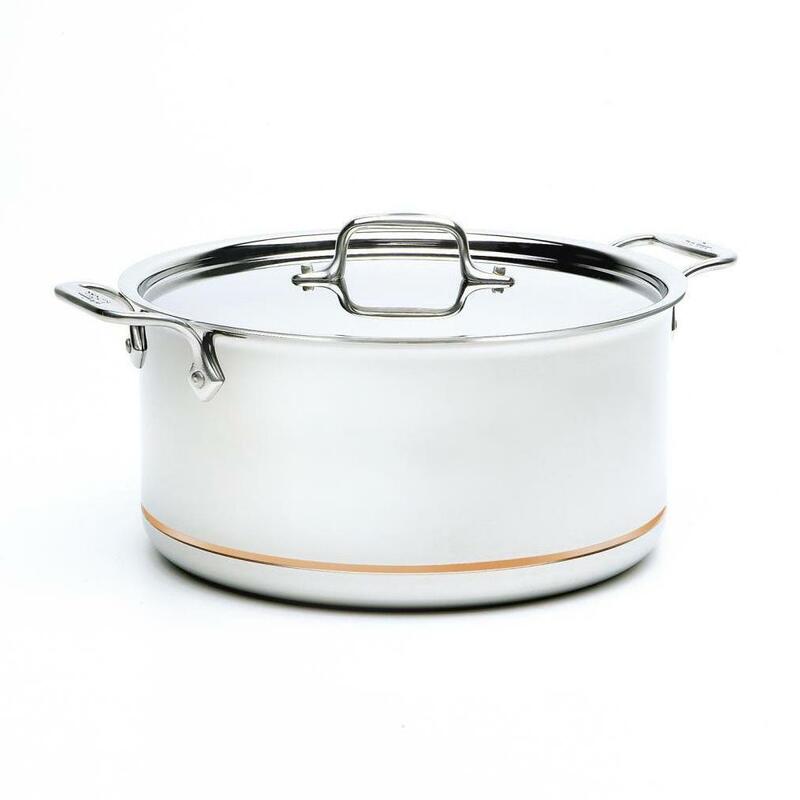 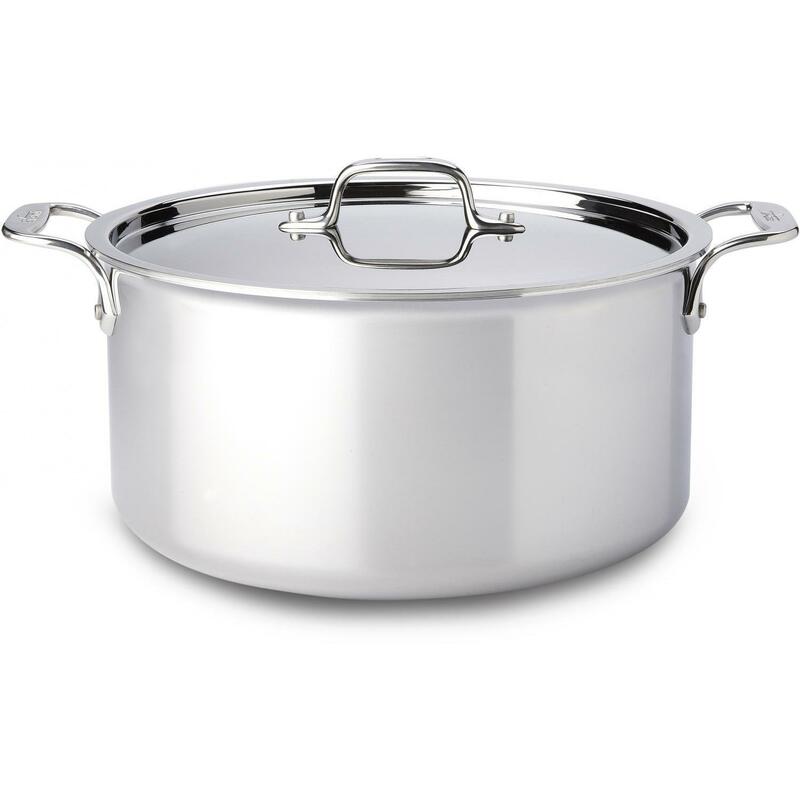 Product Description: Cajun Cookware 12-Quart Aluminum Stock Pot - GL10176-12. This Cajun Cookware stock pot is made of heavy-duty 1/8 inch thick polished aluminum construction for fast even heating, easy cleaning and low maintenance and includes a coordinating lid. 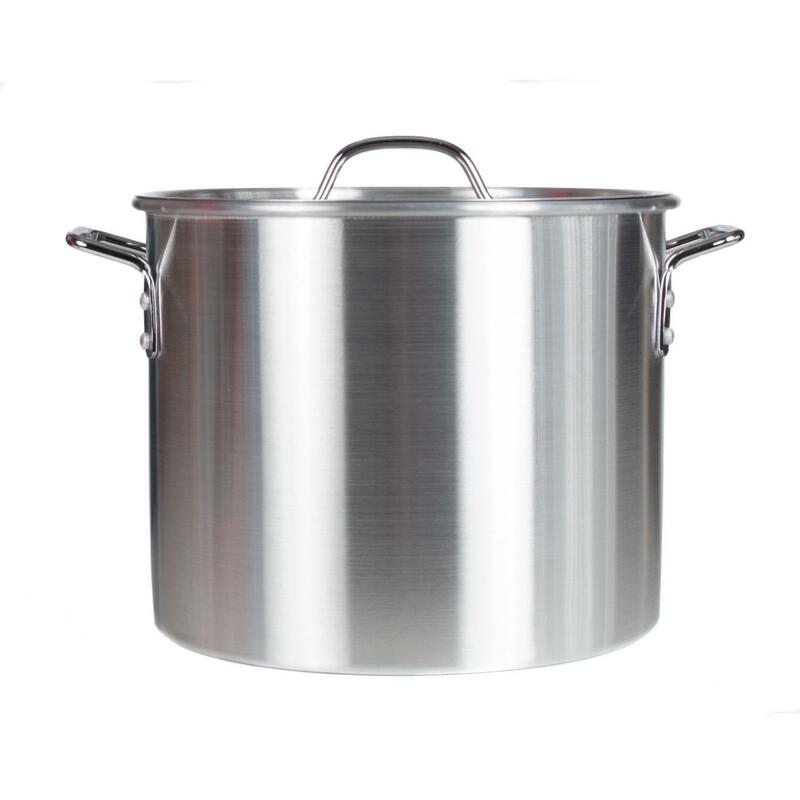 The Cajun Cookware stock pot interior pot dimensions are 8. 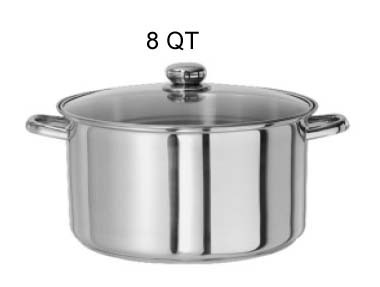 5 inches tall x 10 inches wide.